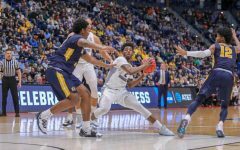 Marquette fought hard but came up short in a 77-66 loss against the Providence Friars Sunday afternoon. 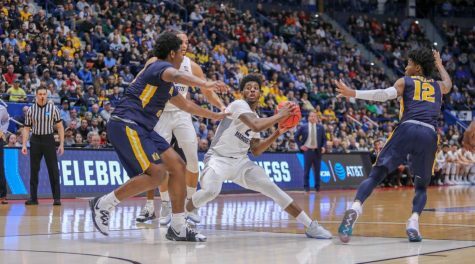 After being down by as many as 24 points against the Friars early in the second half, the Golden Eagles managed to stay alive and trim the lead to five points before running out of steam in the closing minutes. 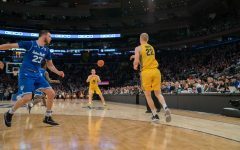 With a depleted roster that has seen its share of departures and injuries alike, fighting is all head coach Steve Wojciechowski can ask for from his group. Playing with maximum effort is something Wojciechowski often mentions in his post game press conferences. 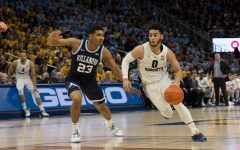 Marquette’s gritty mentality is embodied on the floor and is something opposing coaches have made note of in their post game remarks. For a team that ranks 10th in the Big East in scoring offense and eighth in scoring defense, putting up a good fight is one of the few things Marquette can hang its hat on. 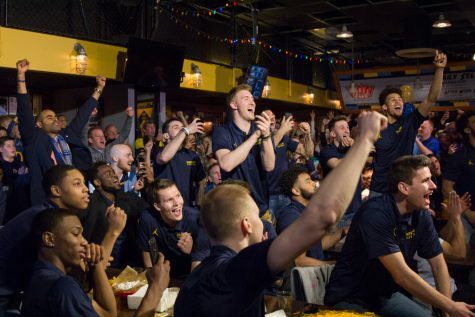 With the postseason being more of a delusion than a reality, Marquette will need to continue to fight for pride in its final two games against St. John’s and DePaul. 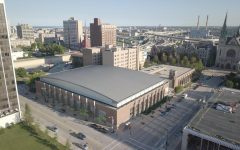 St. John’s visits Milwaukee Wednesday night and enters the game riding a three-game winning streak. The Red Storm is currently one of the most dangerous teams in the Big East after getting off to a sluggish start in conference play. Excluding a loss to Duke on Jan. 25, St. John’s is 7-3 in its 10 games following the first matchup with the Golden Eagles. 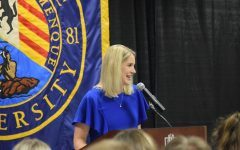 In the team’s first meeting, St. John’s led the entire first half before the Golden Eagles staged a 16-9 run early in the second half to gain a five-point advantage. 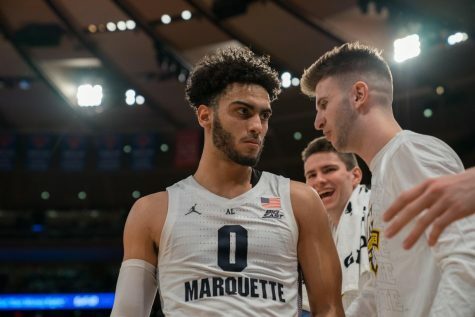 The teams went back-and-forth the rest of the game, but St. John’s staved off Marquette in a 60-57 defensive struggle. 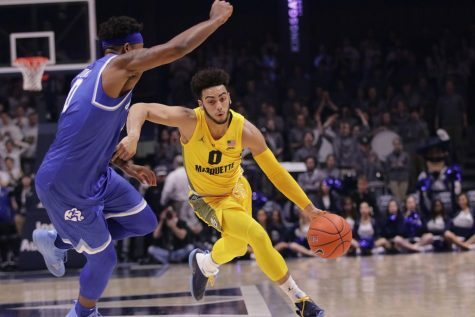 Both teams shot well below 40 percent from the field and Marquette actually held the rebounding advantage (43-39) for just the third time during conference play. The Red Storm lost the rebounding battle but did a good job of protecting the paint with 13 blocked shots. 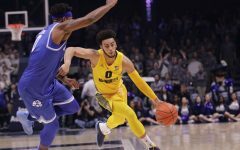 Marquette held D’Angelo Harrison, who is second in the conference in scoring, to just 11 points and 3-of-18 from the floor. Sir’Dominic Pointer was the key for the Red Storm and scored 15 points with 12 rebounds and six assists. 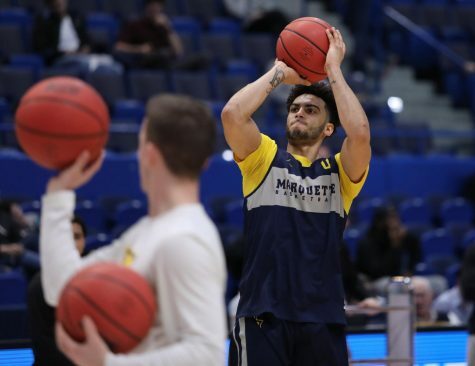 Marquette will need to shoot far better from the floor and take advantage of the Red Storm’s smaller lineup on the glass. 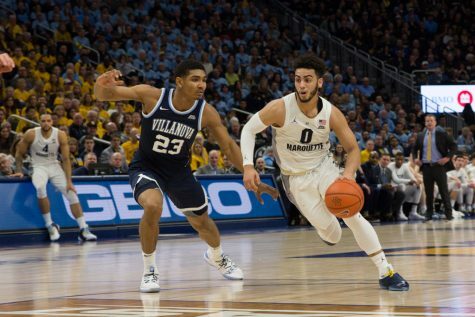 Graduate student Matt Carlino scored 21 points in the first meeting, but the rest of the starting lineup struggled. Sophomore Luke Fischer was held to just eight points and senior Juan Anderson was shut out for the first time of the season. Junior Steve Taylor, Jr. scored 13 points against St. John’s in January and will need to be a presence in the paint once again. 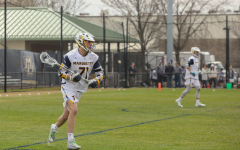 Marquette concludes its regular season against DePaul Saturday afternoon on Senior Day. 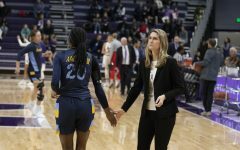 The Golden Eagles lost for the first time in seven games to the Blue Demons on New Year’s Eve in Chicago by a 61-58 tally. The Golden Eagles led by 13 points with 11:46 to go, but were outscored 25-9 the rest of the way. Billy Garrett Jr. carried the Demons with 19 points and Jamee Crockett was the only other DePaul player in double figures with 13 points. 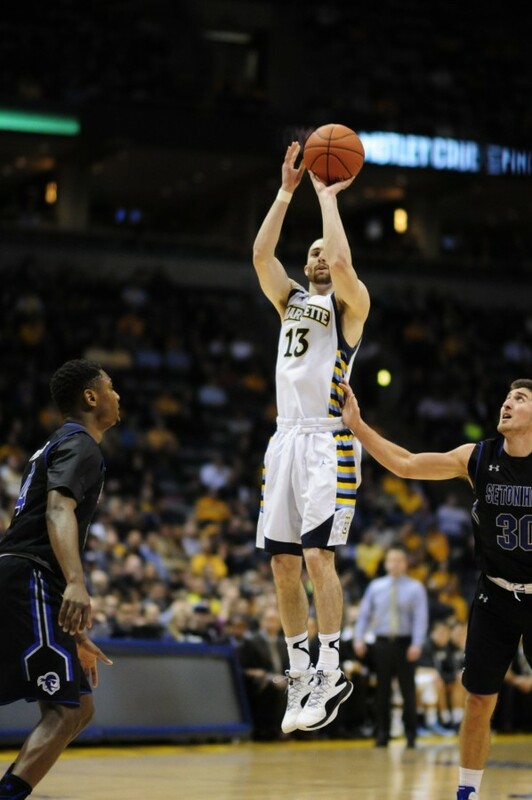 Carlino and redshirt freshman Duane Wilson each scored 11 apiece. Marquette shot 22-of-57 from the floor, including an ugly 3-of-23 from 3-point range. There isn’t much the Blue Demons do well. DePaul is the worst defensive team in the conference and allows 73.9 points per game. It also has the worst scoring margin in the conference at -3.6 points. The Blue Demons are 3-11 in Big East play since starting the conference season with three straight wins. DePaul certainly fell back to earth, but can be dangerous from beyond the arc. The Blue Demons are second in the conference in 3-point shooting at 35.8 percent. Aside from Garrett Jr., Myke Henry is the second-most dangerous scorer on the roster. Henry is shooting 47.6 percent from the floor and 38.8 percent from deep. 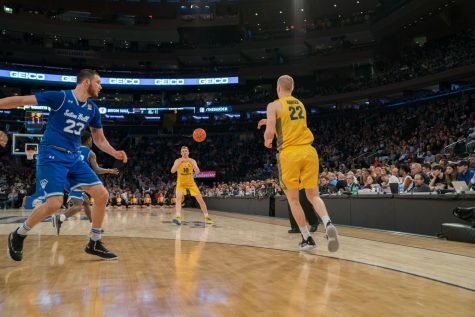 The Golden Eagles will need more from Fischer this time around seeing as his Big East debut in January was unspectacular. The big man got into early foul trouble and scored six points. 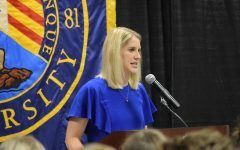 Marquette has a chance to score two victories, generate some momentum for the Big East tournament and close the year on a good note. 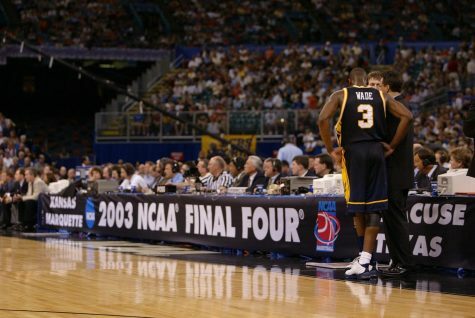 To do so, Marquette will need to do what it does best: fight.